This week’s roundup includes new investment for Pom Bear maker KP Snacks, the classic Mini makes a return to the UK, plus who should be the face of the new £50 note…? 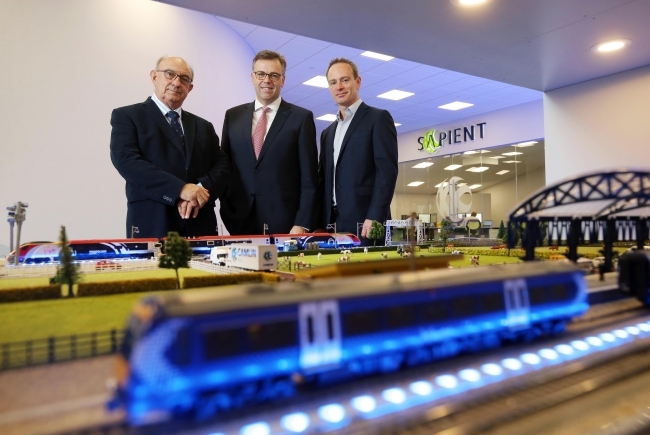 A thriving Hereford-based engineering company is creating 50 new jobs through a £4 million investment. 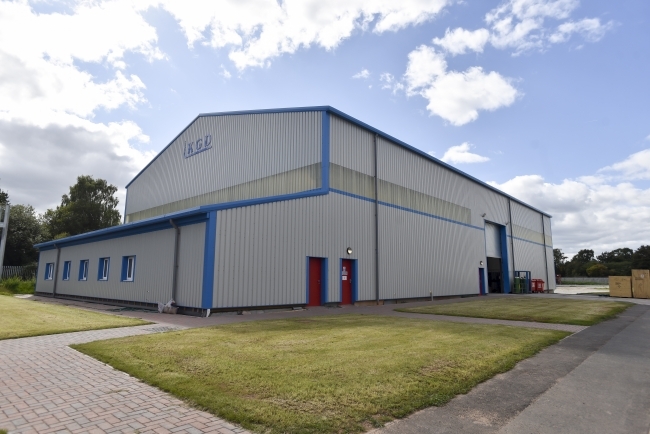 KGD Industrial Services is developing an extra new purpose-built facility on a five-acre site at Hereford Enterprise Zone as part of a long-term expansion drive which it says will see its turnover rise to £20m over the next five years. The company, which was founded by Ken Davies in 1982 and employs 120 people, is developing a new research and development centre at Skylon Park: to consist of an assembly, testing, shot-blasting and painting plant and new offices. Mr Davies said the development – part of which is already complete – would allow the firm to undertake bigger projects for its global customer base and win contracts with new clients. Mr Davies said: “We have expanded consistently since 1982 but that has meant we are being asked to build bigger and bigger packages and we need more space. 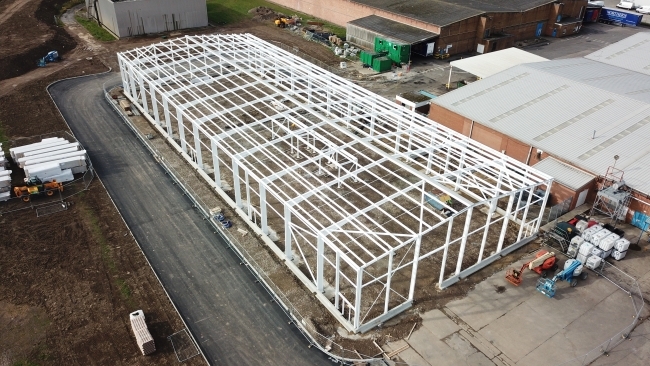 Skylon Park has given us a blank canvas to build exactly what we need, including workspace with 12 metres of headroom and overhead crane capacity of 120 tonnes. Some of our existing customers have already given us more – and bigger work – as a result of the development because they can see that we are now equipped to deal with much heavier systems.” KGD’s customer base includes Heineken, Special Metals Wiggin and Lucozade Ribena Suntory in this country and global industrial companies Linde, Dresser-Rand, GEA Westfalia Separator, Siemens and Ansaldo. 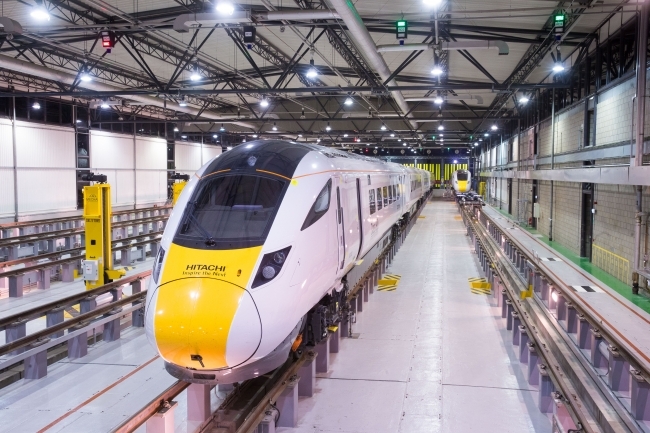 In 2015, Hitachi Rail Europe opened their new train factory at Newton Aycliffe, County Durham. The site is home to 750 employees and has seen over 50 apprentices join and start their manufacturing careers since the plant opened. In the latest instalment of ‘See Inside’, we take a look around and explore some of the key facts & figures behind the site. They may be tiny, but us humans could learn a thing or two from ants. They live in communities numbering from just a few individuals up to many millions. They conduct diplomacy with neighbouring settlements. And they can even go to war with each other. Dr Edmund Hunt from the University of Bristol explains why ants may be more like humans than you think. Amazon has revealed plans to create more than 1,000 jobs in the UK in Manchester, Edinburgh and Cambridge. At least 600 “highly skilled” roles will be added in Manchester working on software, machine learning and AWS, its cloud computing business. The company will also create 250 and 180 jobs at its development centres in Edinburgh and Cambridge respectively. Doug Gurr, Amazon’s UK country manager, described the new roles as “Silicon Valley jobs in Britain”. Liam Fox, the International Trade Secretary, said the new positions were an “enormous vote of confidence in the UK”. Amazon will have about 27,500 employees in the UK by the end of this year, with 6,500 people in its corporate, AWS and R&D divisions. The new Manchester office will be located across 90,000 sq ft of space in the Hanover Building in the Northern Quarter. They will work on projects including software development, machine learning and R&D and complement existing work at development centres in London, Cambridge and Edinburgh. The development centre in Cambridge has teams working on the next generation of Amazon devices including Kindle and Echo; its drone delivery service Prime Air; and improving its virtual assistant Alexa to help it better understand different accents and handle more complex questions. In Edinburgh, the new hires will bolster Amazon’s development centre in the Waverley Gate building, which was the company’s first R&D site outside North America. The announcement that the Bank of England is to introduce a redesigned polymer £50 note has sparked speculation as to who might feature on it. Campaigners have already begun backing their favourites with the UK’s first female PM, a Muslim war hero and David Jason among suggestions, with a Margaret Thatcher petition already attracting more than 11,000 signatures. The Bank says it will seek public nominations via “a character selection process”. Given that this is the nation that voted to name a ship Boaty McBoatface, however, allowing the public to choose the face of the new £50 note is fraught with risk, and social media users have not been slow to come forward with some more leftfield suggestions. The actor John Challis, who played Boycie in Only Fools And Horses, has nominated his co-stars David Jason and Nicholas Lyndhurst in character as Del Boy and Rodney. A campaign to have the England defender Harry Maguire riding a unicorn pictured on the note is also gaining momentum. However, these are very unlikely to make the final cut as Bank of England guidelines suggest avoiding fictional characters and people who are still living, the latter with the exception of the monarch of course. Fifty-pound notes were first produced in 1725. Production ceased in 1943 and they were only reintroduced into regular circulation in 1981. The Bank is yet to set a date for the new note to go into circulation. It has only said that it will be after the new polymer £20 is introduced in 2020, featuring the painter JMW Turner.